urbanbaby&toddler magazine: Have You Been BeanBoozled? Candy company Jelly Belly has been producing some grossly-flavoured jelly beans as part of their challenge for years now. The BeanBoozled 4th Edition, the newest creations in the wildly popular BeanBoozled game, introduces two new flavours to the mix: Dead Fish, and its lookalike Strawberry Banana Smoothie, and Spoiled Milk with its identical partner Coconut. 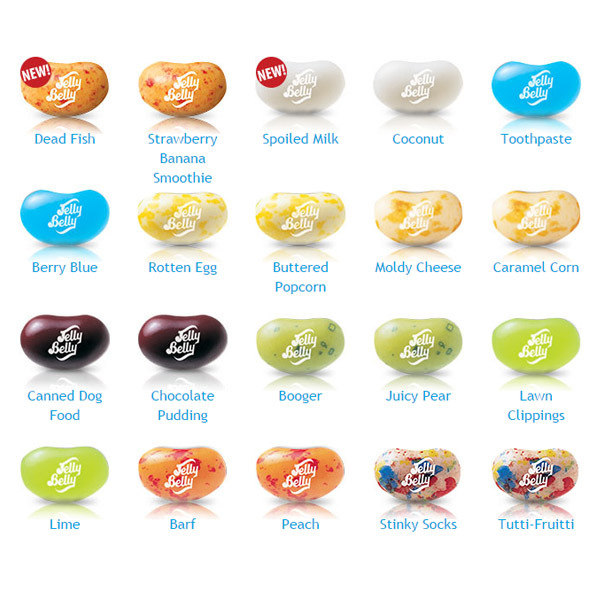 If you’re not familiar with the Beanboozled challenge the catch is that every classic (and we should add yummy flavour) comes with a similarly-coloured, but smelly and gross counterpart, with the only way to tell them apart is by eating them. The Beanboozled 4th Edition is scheduled to start hitting store shelves this spring. The new flavor combinations are coming to the full BeanBoozled line, including the BeanBoozled Mystery Bean Dispenser (pictured here), a Grab & Go® Bag, Flip-Top Box, Spinner Gift Box, and the JUMBO Gift Box. 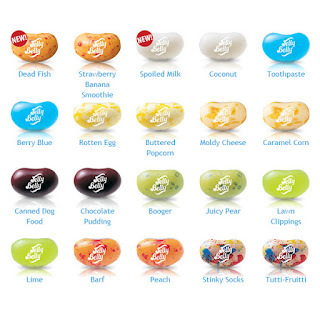 While jelly beans are fab favourite with our staff and can make a special treat for your child or yourself to indulge in – you’ll also be happy to know that BeanBoozled jelly beans are certified OU Kosher and are free of gelatin, gluten, fat and dairy. For some oh so delicious pictures follow Jelly Belly on Instagram. 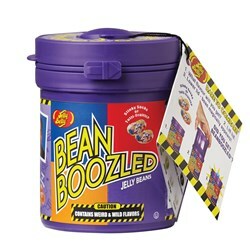 Enter to win a BeanBoozled prize package at www.urbanbaby.ca if you dare!